The Kershaw Blue Little Lockback 5300RD knife is a traditional everyday carry knife. The blade is a modified sheepfoot made of 8Cr13MoV steel. 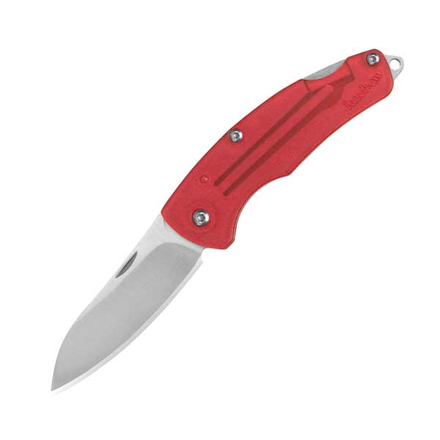 As the name indicates, the 2 inch blade is secured into place with a lockback mechanism. It is opened with a nail nick. The handle is blue ABS plastic with an incorporated lanyard loop that allows it to easily be attached to camping or hiking gear. With a closed length just over 2.5 inches, and weighing about an ounce, the Kershaw Little Lockback 5300RD can be quite comfortably carried in a pocket.